Any sports fan knows there are no “do-overs” for bad plays. You may spend hours debating the “what ifs,” but it won’t change the outcome. When it comes to making decisions about your audiovisual technologies, however, it’s important to consider the pertinent “what ifs” before you make your play. The right approach can prevent costly—and avoidable—mistakes that you can’t easily go back and fix once they’re done. Here are three scenarios that illustrate when having an AV integrator is crucial—and what the outcomes would be without one. Scenario 1: Audio is an afterthought. The problem: When your focus is on a beautiful new display or other captivating technology, it’s easy to overlook audio. However, workaround solutions like smartphones, personal speakers, or other, less expensive consumer-grade equipment don’t create the best user experience. They also detract from the value and capabilities of your other enterprise-grade solutions because everyone’s too busy trying to hear or be heard. After all, what's the point of a meeting if participants can’t hear each other? The expensive table, and flashy lighting don’t mean anything if the meetings aren't productive. The integrator difference: Though you might be tempted to invest in other flashy solutions and just do audio on the cheap, a qualified integrator can help you determine when inexpensive or consumer-grade solutions will get the job done and when you need more sophisticated audio tools. That way, you’ll be investing in solutions that won’t need to be replaced or upgraded in the short-term. Scenario 2: AV was overlooked in design. The problem: Your new spaces might look modern and appealing, but that doesn’t meet your functional needs. When communication and collaboration technology do not empower users and their workflow, the return on investment can be negatively impacted. Power and data outlets could be in the wrong place, or not available at all. Your aesthetically impressive furniture might be in the way of cables or obstruct hardware ventilation. The integrator difference: AV integration is about more than choosing technologies and plugging them in. 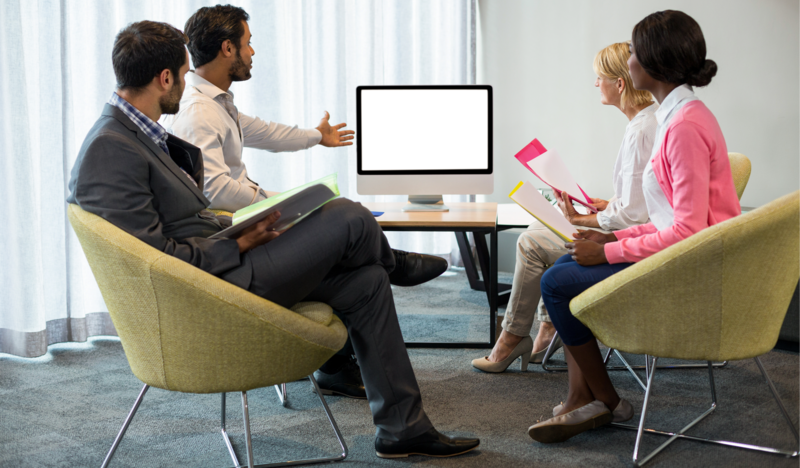 When AV integrators are consulted at the beginning of a project, they can help design a space that meets AV infrastructure needs and contributes to a positive user experience. If you wait until the wires are in, the walls are up, and the furniture is purchased, however, it can be difficult and sometimes impossible to fix issues such as conduit pathways or electrical requirements without ruining walls or ceilings. Scenario 3: No one is using the AV tools. The problem: You’ve installed new solutions at the request of users or managers in your organization, but users either struggle to use them or ignore them and find their own ways of working. It’s frustrating to see expensive technologies sit untouched while employees collaborate using their personal devices. The integrator difference: An AV integrator can ensure you install technologies that people will use. Technology selection is about more than features and functionality. It’s about considering budgets, physical spaces, employee preferences, and long-term goals. An AV systems integrator can help with those choices and then also make solutions work together in a way that optimizes the user experience. Most importantly, a good integrator will help you build a robust system that is easy to use. It’s critical, though, that you bring in an integrator in the early phases. Otherwise, they may not be able to overcome all your challenges with the time and resources you have left. Many organizations only budget a technology refresh every five to ten years, so it's important to invest in doing it right the first time. By involving an AV integrator early in your project, you can avoid the “what ifs” altogether and get the tools, functionality, and outcomes you need on your first try. Download our information sheet to learn more about the value GENCOMM’s system integrators can bring to your technology projects.